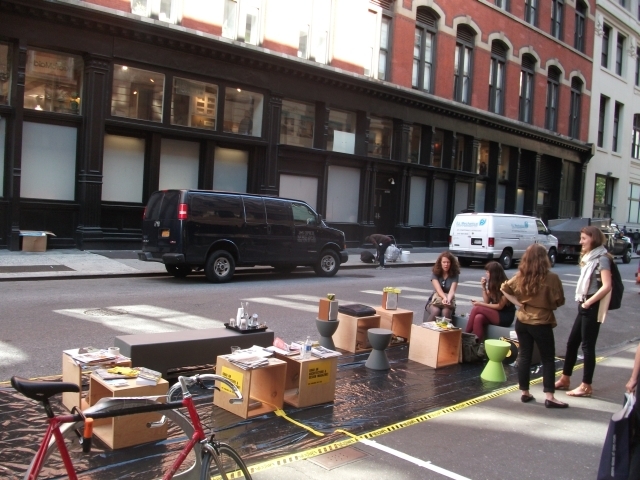 Parking Day was Sept 21 in 2012. This is the day of the year when parking spots get transformed into public spaces for a day. 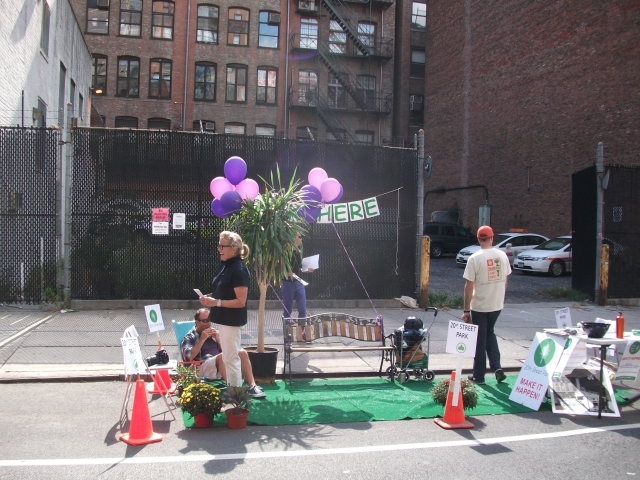 This year 3 Chelsea organizations participated in Parking Day. Park Chelsea, a 2011 (PARK)ing Day participant was represented by Ranger Bob, Park Chelsea Parks Commissioner who spent the day meeting with the Chelsea participants and swearing some of them in as Park Chelsea Rangers. Van Alen Institute is an independent nonprofit architectural organization that promotes inquiry into the processes that shape the design of the public realm. They have recently announced the winners of their Parks for the People Competition. 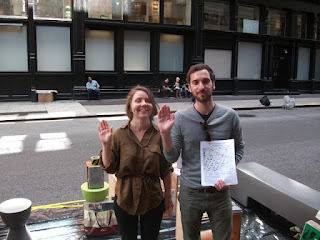 They are a multiple year Parking Day participant. 20th Street Park is a coalition of East Chelsea residents that has been advocating for a pocket park at the soon to be vacated Sanitation Dept site at 136 West 20th Street. The ESI Design Food For Thought Truck at 5th ave btw 18th and 19th Streets. Seen here are ESI Design employees Debra, Shaelyn and Maria being sworn in as Park Chelsea Rangers welcome Ranger Debra, Ranger Shaelyn and Ranger Maria! 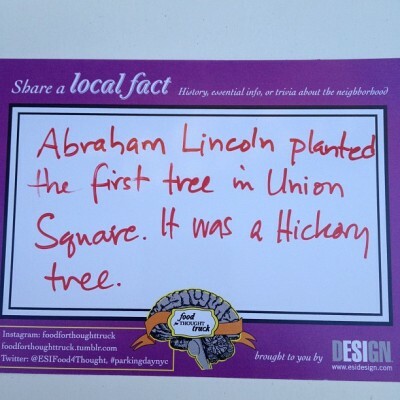 One of many local facts shared by the Food for Thought Truck during Parking Day. 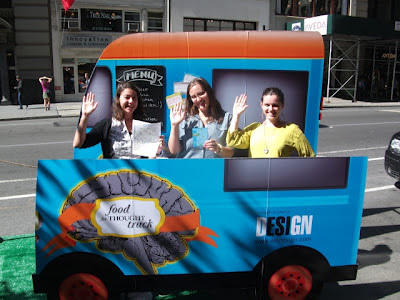 Food trucks are great for feeding your belly, but what about feeding your mind? ESI Design is one of the world's foremost experiential design firms. Founded in 1977 by Edwin Schlossberg, a pioneer in the design of collaborative public experiences and communications networks.